Hundreds of young people are expected to gather in Ottawa Feb. 14 to Feb. 18 to share stories, their skills and strategies on “catastrophic climate change”. 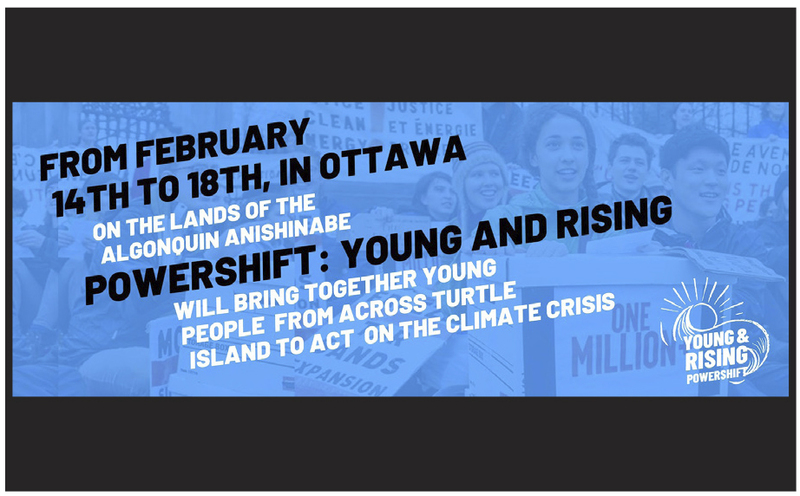 PowerShift: Young and Rising, for youth ages 18 to 35, will be at uOttawa for evening keynote speakers taking place at the Bronson Centre Theatre, reads a press statement. Keynote speakers will include Indigenous land defenders, such as Kanahus Manuel from the Secwepemc Tiny House Warriors Movement, and federal and provincial politicians championing climate action and Indigenous rights, including Romeo Saganash, MP-NDP, and Québec Solidaire’s Manon Massé. The event will also include an art space and a performance night. The event will begin at 7 p.m, Thursday, Feb. 14 and runs thru to 5 p.m. Monday, Feb. 18. It will be held at the University of Ottawa (in multiple rooms), allsaints event space in Sandy Hill, and the Bronson Centre Theatre.